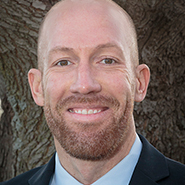 McKinney, Texas – McKinney ISD announced Tuesday that Matt Arend will be the new principal of McClure Elementary. With a career in education that spans nearly 20 years, Arend is an experienced campus administrator who has served as principal of Sigler Elementary in Plano ISD for the past eight years. The McClure principal position became available in January when then McClure Principal Melanie Raleeh was chosen by the district to be the new principal of Walker Elementary. At McClure, Assistant Principal Maria Hafner has served as the interim principal and will continue in that role until Arend assumes his duties at the end of May. Arend comes to MISD from Plano ISD where he began his career in 2002 as a fifth grade teacher at Centennial Elementary. He served in the classroom there for five years before moving into the ranks of Plano’s campus leadership in 2007 as an assistant principal, first at Hunt Elementary and Hickey Elementary and then at Mendenhall Elementary. He was then hired as the principal of Sigler Elementary, where he has served for the past eight years. Under Arend’s leadership, Sigler achieved Level I certification in the Marzano High Reliability Schools framework last year, and the campus has been recognized by the Texas Principals’ Institute as a “Schools Transforming Learning” nominee and winner. Arend is a Wonderopolis Lead Ambassador and has presented at numerous professional gatherings including the National Association of Elementary School Principals Conference and the National Center for Families Learning Conference. Arend earned his bachelor’s degree in elementary education from Peru State College in Nebraska and his master’s degree in educational administration from the University of North Texas.